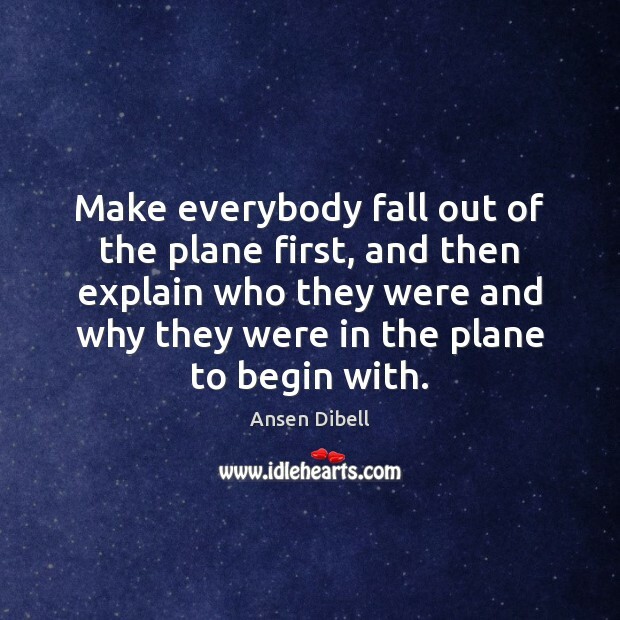 Enjoy the best inspirational, motivational, positive, funny and famous quotes by Ansen Dibell. Use words and picture quotations to push forward and inspire you keep going in life! J.R.R.Tolkien has confessed that about a third of the way through The Fellowship of the Ring, some ruffian named Strider confronted the hobbits in an inn, and Tolkien was in despair. He didn't know who Strider was, where the book was going, or what to write next. 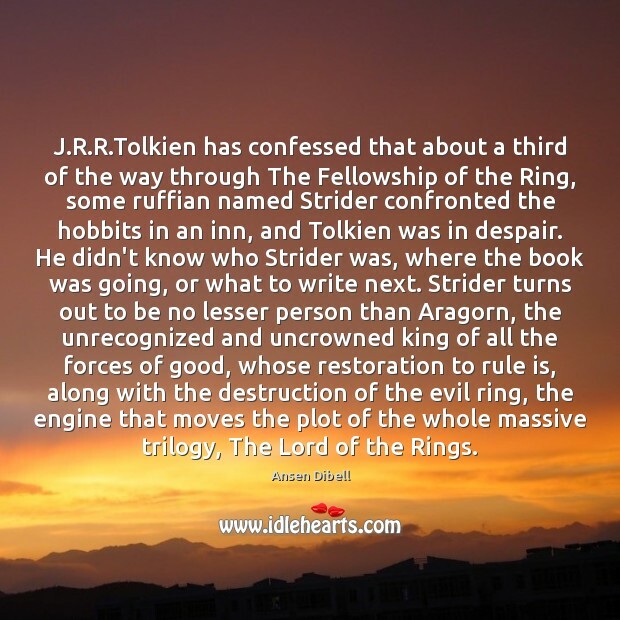 Strider turns out to be no lesser person than Aragorn, the unrecognized and uncrowned king of all the forces of good, whose restoration to rule is, along with the destruction of the evil ring, the engine that moves the plot of the whole massive trilogy, The Lord of the Rings. A knife can be a symbol, but it also better be able to cut string. 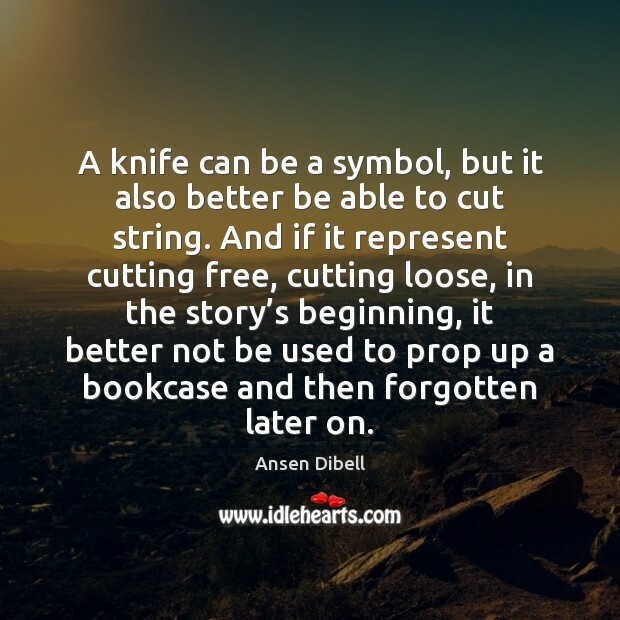 And if it represent cutting free, cutting loose, in the story’s beginning, it better not be used to prop up a bookcase and then forgotten later on.